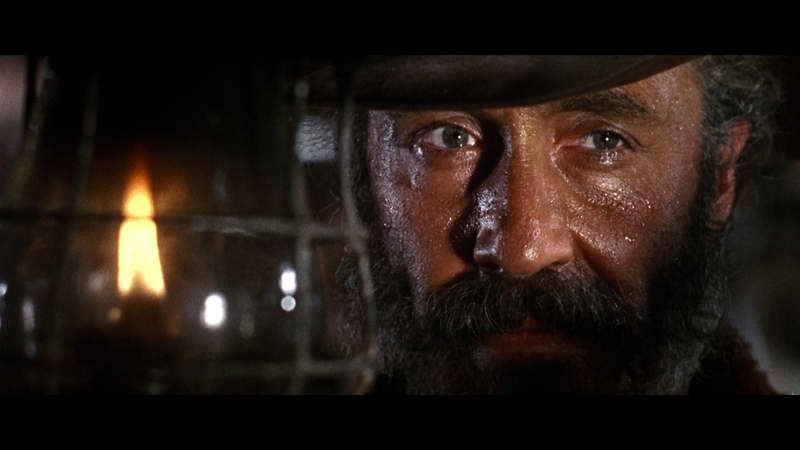 Sergio Leone's masterpiece. 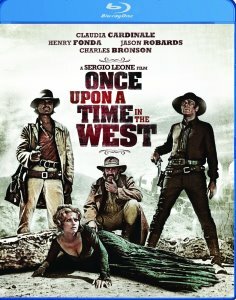 In ONCE UPON A TIME IN THE WEST, Leone pulls together all the themes, characterizations, visuals, humor, and musical experiments of the three "Dollars" films and comes up with a true epic western. 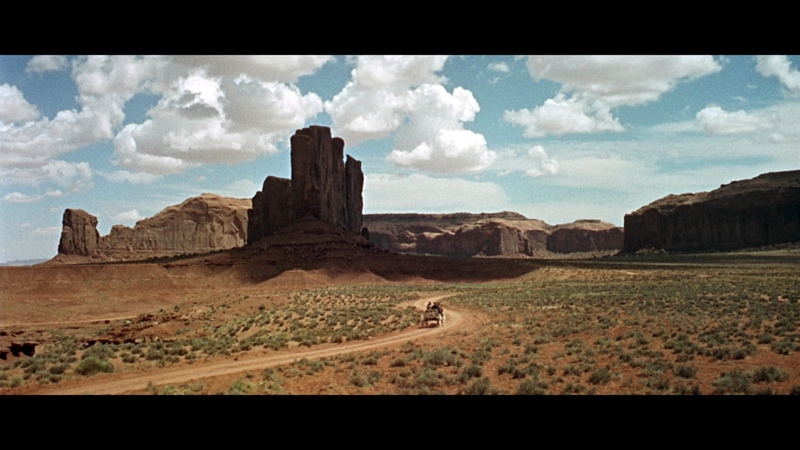 It is a stunning, operatic film of breadth, detail, and stature that deserves to be considered among the greatest westerns ever made. 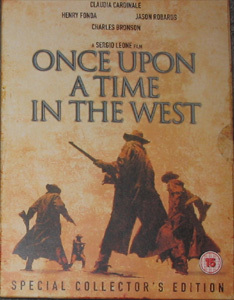 Although the original release in America was a severely edited version (Paramount wanted to cram an extra show in every night to sell more popcorn), the film was re-released, uncut, in 1984. 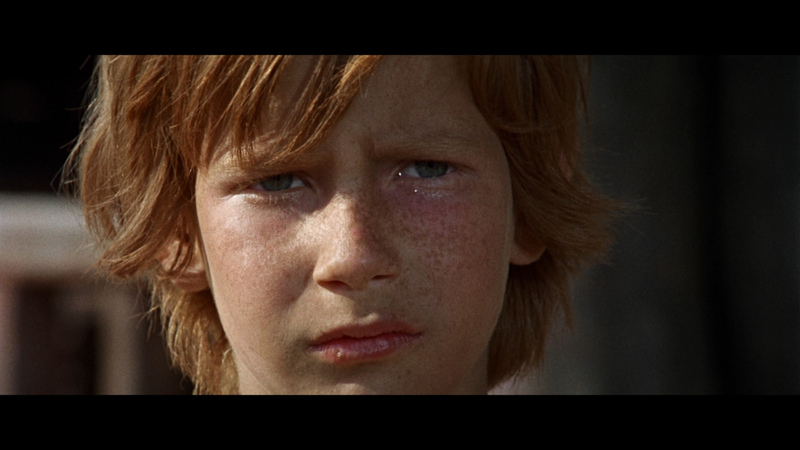 (The videotape version is also uncut.) 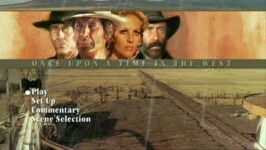 ONCE UPON A TIME IN THE WEST's credit sequence is perhaps one of the most famous in cinema history. 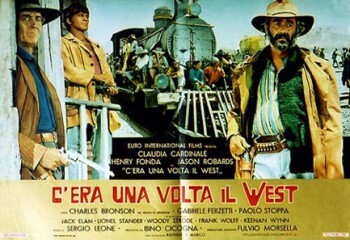 It unfolds slowly, deliberately, as Leone lingers on the strange behavior of Frank's (Fonda) three hired killers (two of whom are Jack Elam and Woody Strode in unforgettable cameos) who await the arrival of a train carrying "the Man" (Bronson), a stranger who has asked for an audience with Frank. 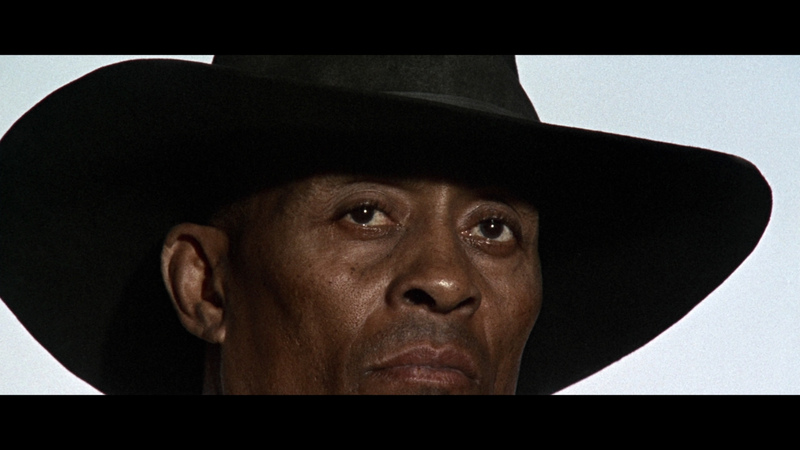 The perfectly realized details--water dripping on Strode's bald head, Elam trying to shoo a pesky fly, and the third gang member cracking his knuckles--brings the scene immediately to life and create an almost unbearable sense of anticipation. It doesn't let up from there. 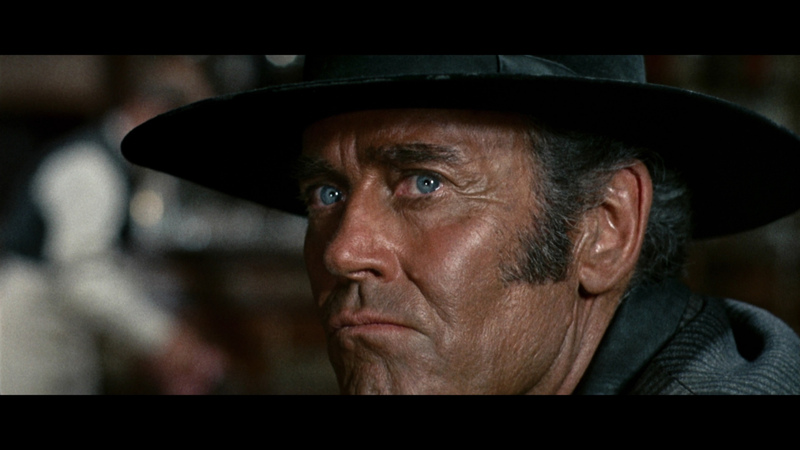 Big thanks to Bram Blijleven for the CVC captures and big thanks to Ole Kofoed for all the Paramount DVD Screen Caps! 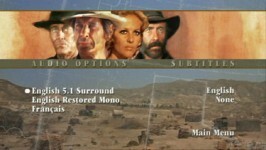 Audio Italian Dolby Digital 5.1, Italian DD 1.0 English Dolby Digital 5.1, English DD 2.0 mono, French DD 2.0 mono..
English Dolby Digital 5.1, German DD 2.0 mono, French DD 2.0 mono, Spanish DD 2.0 mono. 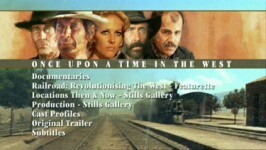 • Commentary with Sir Christopher Frayling, John Carpenter, Alex Cox, Sheldon Hall, John Milius and Claudia Cardinale. 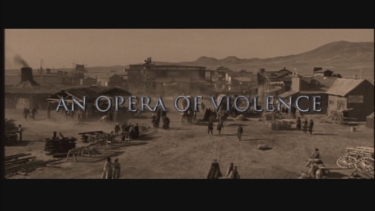 • An Opera of Violence (28:49). • The Wages of Sin (19:36). 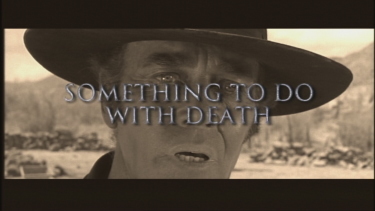 • Something to Do with Death (18:16). 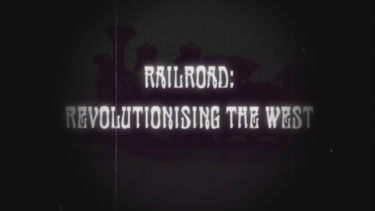 • Railroad: Revolutionizing the West (6:21). 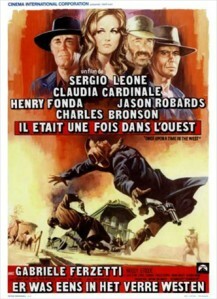 • Cast Profiles of Henry Fonda, Claudia Cardinale, Jason Robards, Charles Bronson and Gabriele Ferzetti. • Original US Trailer (2:52). 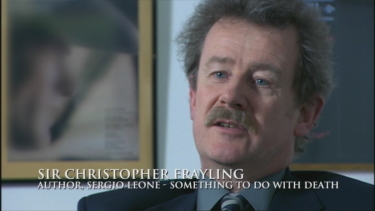 • Commentary with Sir Christopher Frayling, John Carpenter, Alex Cox, Sheldon Hall, John Milius and Claudia Cardinale (Subtitled in English, French, German and Spanish). • Locations Then & Now (Stills) (4:41). 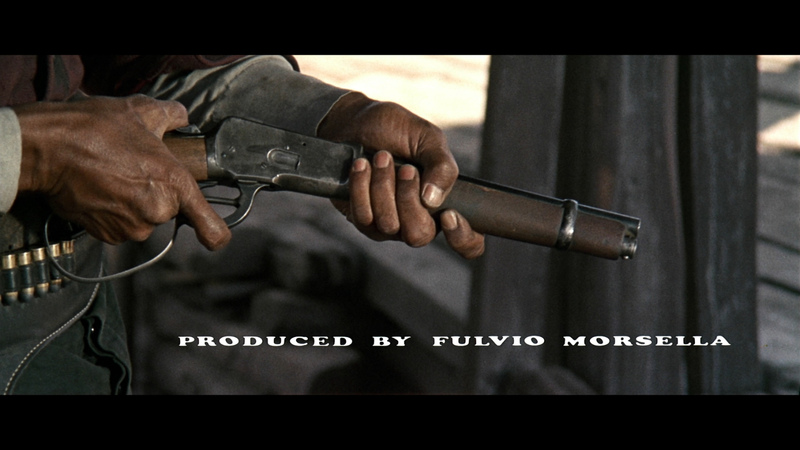 The DTS-HD Master 5.1 at 2786 kbps does an excellent job of utilizing Ennio Morricone score's 'marriage' with the film. 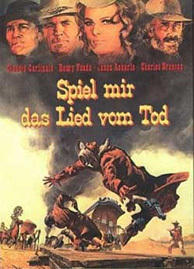 The film has plenty of subtlety tucked into the effects (squeaky windmills, cracking knuckles etc.) and there is some notable aggression. The depth was never floor rattling but I enjoyed the uncompressed audio - hearing it's superiority over the last DVD I watched. 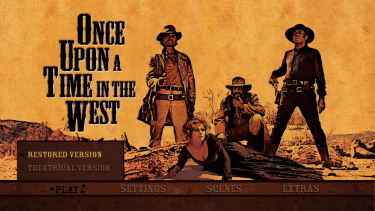 There are optional subtitles and the Blu-ray disc is coded Region FREE. 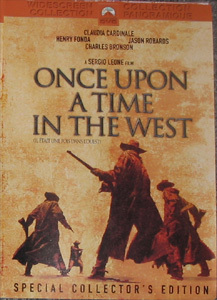 NOTE: Thanks to Daniel in email "I was reading the comparison piece about Sergio Leone's 'Once Upon A Time In The West' on your website and I think you have missed an interesting difference between the new Blu-ray version and the original DVD. 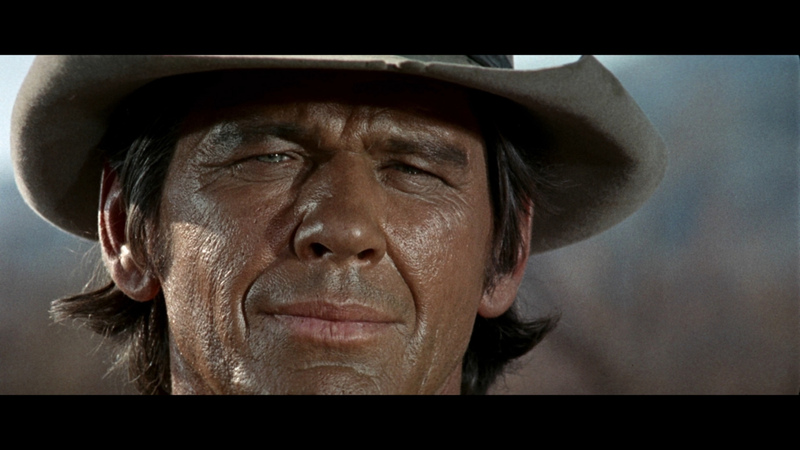 In 1984, the restorationists, confused as to why the Finale music lasted 4 seconds longer than the negative solved the music synchronization problem by replacing the last 74 seconds of the correct exit music with the last 70 seconds of the tonally inappropriate Cheyenne's Theme. 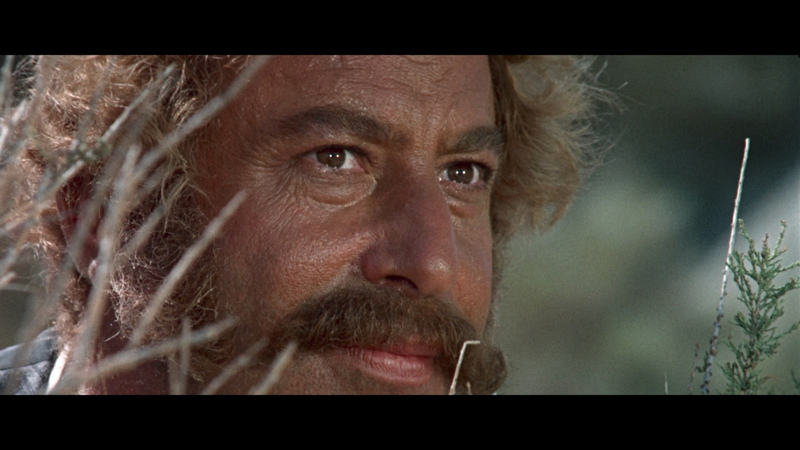 This alters the whole operatic sweep of the ending. 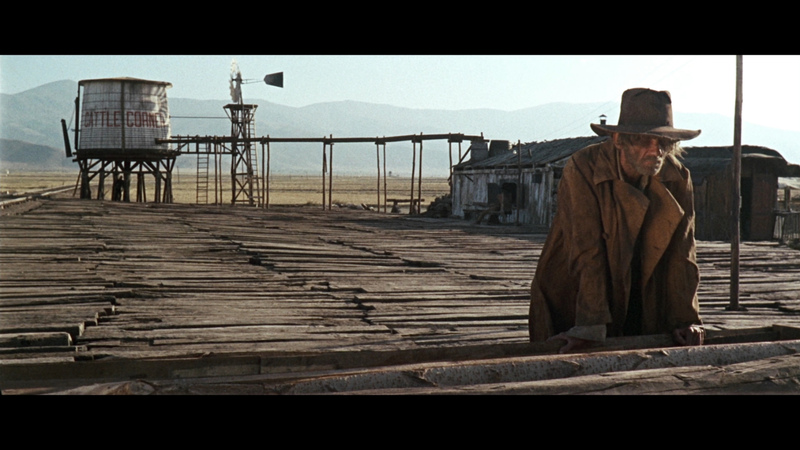 I know there is a story about how Leone played Morricone's the music on set and choreographed the camera movements to the music in order to get the maximum emotional fusion of the two elements. 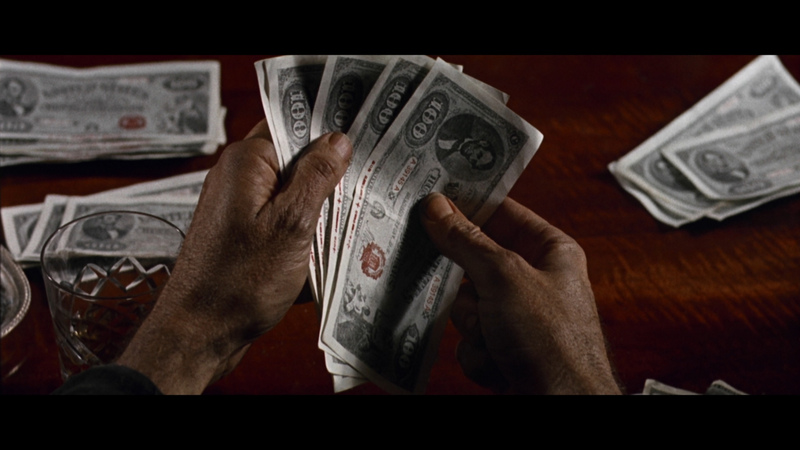 Whether he did this on the final scene I don't know, but watching the scene with the two conflicting music cues is as different as night and day. 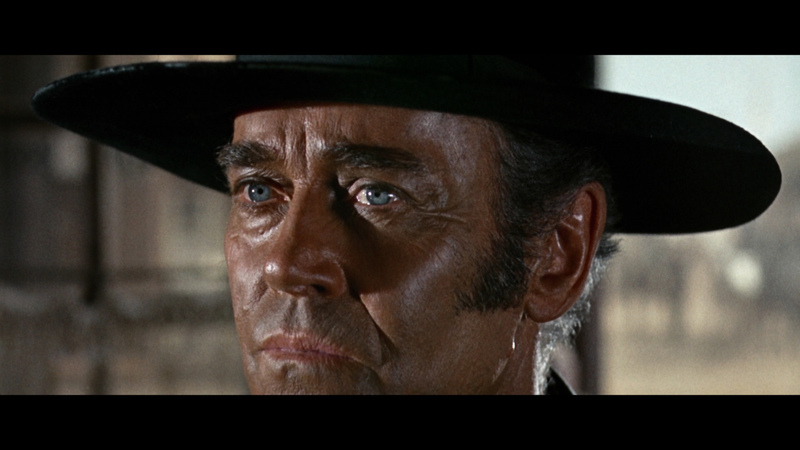 In the new issue of Video Watchdog, Tim Lucas's editorial cited the new 'Once Upon A Time In The West' Blu-ray as one of the key releases of the past year and noted that it does indeed fix the music mishap that flawed the original DVD release. 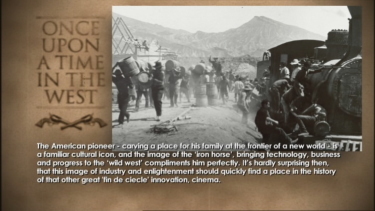 Your comparison review doesn't note this, and not having the Blu-ray, I have no way of confirming whether this is accurate or not, but I thought the information might be of interest to you nevertheless." 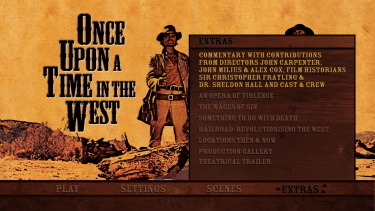 Extras duplicate the last DVD package - which means about an hour's worth of excellent featurettes on production with input from many directly involved and the wonderful commentary is still there with Sir Christopher Frayling, John Carpenter, Alex Cox, Sheldon Hall, John Milius and Claudia Cardinale. 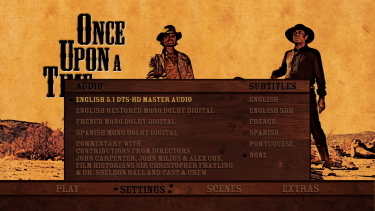 The commentary does not have the optional subtitles that the Special Edition DVD does. 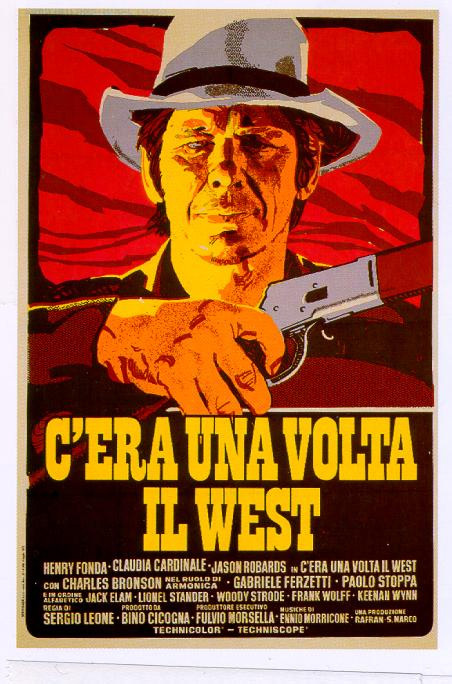 Every time I see this I judge it as the quintessential 'Spaghetti Western'. I never seem to tire of the languid pace always teeming with 'foreboding' and atmosphere. 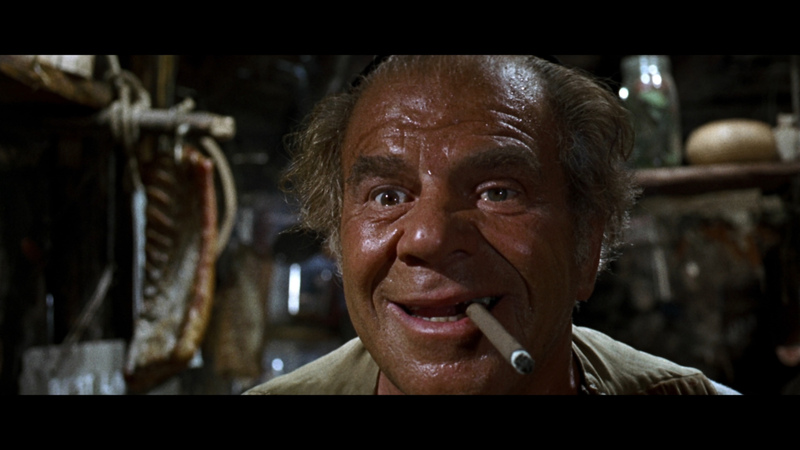 Characterizations are a strong part of the film - everyone is so good. 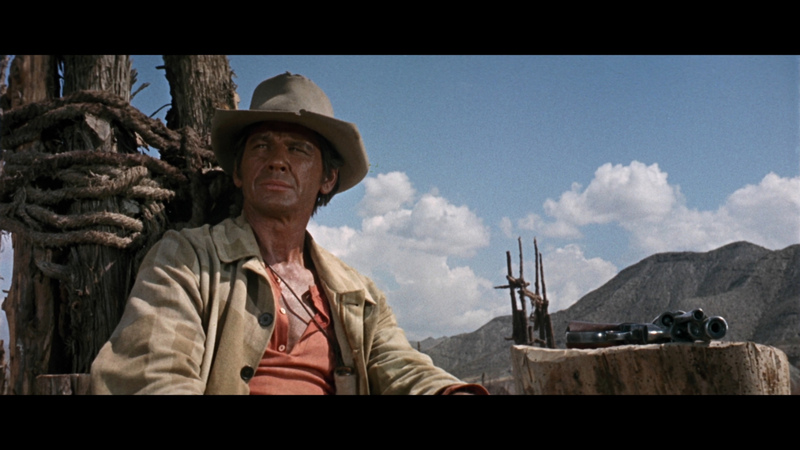 Once Upon A Time in the West is truly a film to just sit back and soak-in. 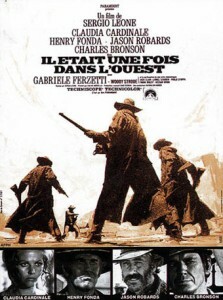 I don't think you have to be a western fan to appreciate it - this is pure cinema in many respects. I much-waited for Blu-ray takes advantage of the format to offer both cuts on the same disc - as well as all the excellent extras accessible on one BD. This is being offered at a great price - don't hesitate! 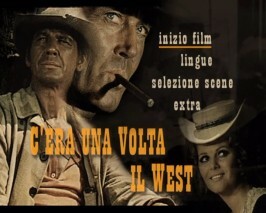 ON THE DVDS: NOTE: Addition: we are working on why the CVC Italian 'Restored" version is longer. Definitely there is some color manipulation and I think it may be on the part of both. The Paramounts both look too red for my eye. The CVC is not as sharp. 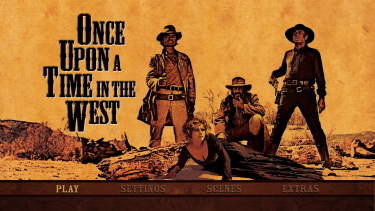 We see the Paramount DVDs are slightly cropped on the top edge. 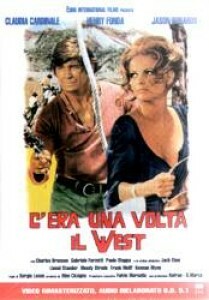 From IMdb: The Italian DVD as an extended version of the movie. Running time 171 mins (standard version use in other countries running time are between 155 to 165 mns). 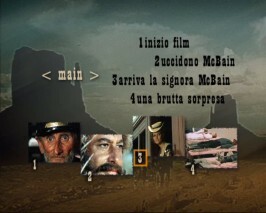 The principal differences are the opening sequence, who is much longer (look at Jack Elem game with the fly), and the closing too (the panoramic shoot is complete before the titles C'ERA UNA VOLTA IL WEST appear). 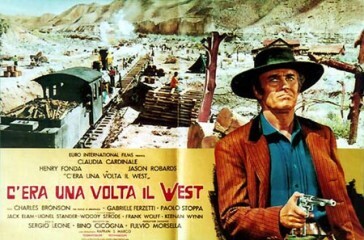 Another missing scene, who as disappear from all the European edit, is in it: after the station scene, Harmonica take his arm because he has a terrible pain in it, and return on his horse. 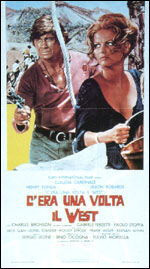 So there we have it, the Italian version is longer, a little washed out and has Italian audio and no English subs. 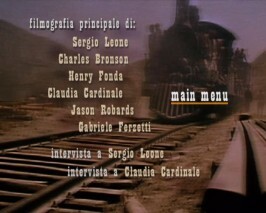 NOTE: Differences in Italian Extended version (Thanks Jayson Kennedy!) CLICK HERE. Only minor differences in the Paramounts - the picture looks great on both releases, but the Region 1 is slightly sharper (almost negligible). The R1 has the original English mono soundtrack which is not included on the R2, but the new DD 5.1 remix is done extremely well. Paramount have done a bit more with the packaging on the R2. Great work by Paramount!